If science and Scripture have some superficial conflicts but no deep conflicts when viewed from the ultimate perspective of wisdom, then we need to think carefully about the various claims of science and the Bible that appear to be in conflict. Are these apparent conflicts due to the limitations of the science perspective or due to our interpretation of Scripture? We need to be careful because sometimes our first attempt at finding a deeper unity might not be correct. It wasn’t until I was a freshman in high school that I started really reading and studying the Bible for the first time. I had just recently become a believer through the ministry of a local church. They called themselves Bible believing fundamentalists and so I was taught a literalistic or “plain-language” reading of Genesis. According to a literalistic reading, Genesis provides a chronological account of a six day creation. My freshman year in high school was also the year that we had Earth Science. I remember learning about the solar system and astronomy. We learned about the stars and, especially relevant for this discussion, we learned about light years and the distance of stars from earth. So right off the bat in my Christian life I was confronted by the tension between a “plain-language” interpretation of Genesis and the current scientific consensus regarding the age of the universe. There is a wonderful thing about looking at the stars that is very different than looking at anything we see on earth. As I look around me in my office I see things that exist right here with me right now. Some things are close to me and some things are far, but what I see in front of me is happening right now, just as I see it. It’s different when I look up at the sky. As I gaze into the sky I don’t just look across the space that separates me from the objects I observe, I look across time. The closest star to the earth is, of course, our very own Sun. Even though it’s the closest star, the Sun is so far away that it takes about 8 minutes (500 seconds) for its light to reach the earth. That means when I look up at the sun I don’t see it as it is, I look into the past and see it now as it was 8 minutes ago. The Andromeda Galaxy is about 2.5 million light years from earth. Image credit: Adam Evans CC via Wikimedia. The closest star system to the earth is Alpha Centauri. It’s about 4.3 light years away. 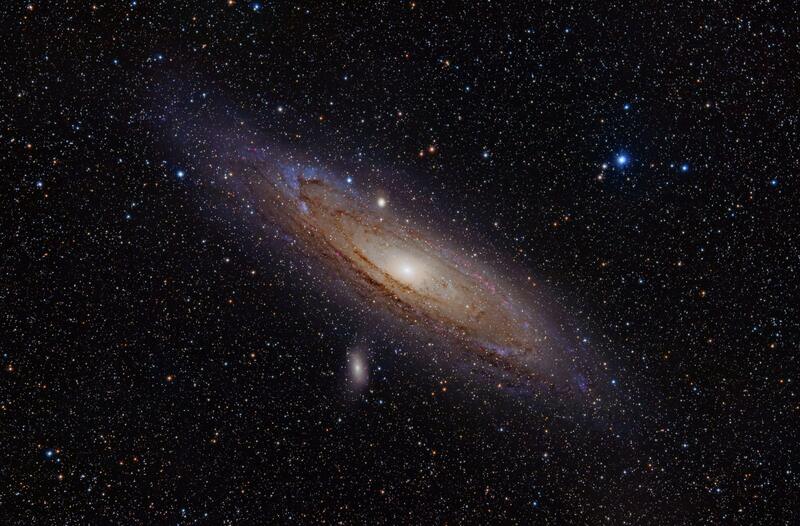 The closest galaxy is the Andromeda Galaxy, which is visible when you look up at the night sky. The Andromeda Galaxy is about 2.5 million light years away. I think that’s amazing. When you look up at the sky (if your eyes are good enough and if it’s dark enough) you can look at one object and see 8 minutes into the past, you can look at another and see the past of 4.3 years ago and yet another to see the past of 2.5 million years ago. As we look up at the stars, we look not only across the vast expanse of space, but the vast expanse of time. Or can you? If we follow the literalistic reading of Genesis 1, then you can’t possibly be seeing the Andromeda Galaxy as it existed 2.5 million years ago since it didn’t even exist until 6,000 years ago! When I first heard of this problem it seemed to me to be no problem at all. After all, the Bible indicates that Adam and Eve were created as adults, so why couldn’t an all-powerful creator have spoken everything into being as an already “full-grown” universe, so that the stars in the sky were formed along with their light rays already reaching earth on the day God created them? At first glance, that might seem like a satisfactory resolution to the apparent contradiction. The problem is that there is more to the night sky than just the stars that dot the black cloak of night. For example, using data from the Hubble Telescope, scientists have put together the Hubble Ultra-Deep Field, an image of a small section of universe that is so far away, the image reveals galaxies as they existed 13 billion years ago. When NASA’s James Webb space telescope is deployed (October 2018), we should be able to see the universe as it existed just 200 million years after the supposed big bang (13.6 billion years into the past). According to scientists, these images show us not just galaxies, but galaxies being formed. If we can look into the universe and see objects in the sky in various stages of development, we can begin to see not just the objects themselves, but we can see how they interact with one another, how they develop over time and, perhaps, we can begin to understand how our universe came into being. Let me tell a story to help drive this point home. In the following story, I will be recounting a discovery of the Cosmic Microwave Background, which for many scientists is the most important discovery of the 20th century and a very important confirmation of the big bang theory. However, if you believe the big bang theory is false, please don’t be put off by my approach. My point here is not to provide evidence for one model or another. All I want to do here is establish the idea that as we look into the sky we observe more than just static objects. We observe cosmic events and so make observations that help us better understand the workings and history of creation. This is a point that everyone should agree on. We are all looking at data and trying to interpret it. What I’m relating here is how most scientists interpret a certain set of data. The story begins in 1959 when Bell Labs built a horn-shaped antenna in Holmdel Township, NJ (for a more detailed and interesting version of this story see the 2014 article by WNPR). This antenna was designed to work in conjunction with a commercial satellite system. Shortly after it was built, however, a new satellite was deployed that made its system obsolete. In 1964 Bell Labs decided to make continued use of the antenna by assigning two astronomers, Arno Penzias and Robert Wilson, to the task of using the antenna to research how radio signals pass through the atmosphere. They began calibrating their new toy by pointing it to a quiet part of the sky. In doing so, however, they became aware of persistent static. At first they postulated that it may be coming from the radar of a nearby airport. Or perhaps it was due to the pigeons roosting in the horn of the antenna. Eventually, they ruled out these possibilities, going so far as to clean out all the pigeon droppings. In the end, they were able to determine that the static noise was coming from everywhere in the universe and they were even able to calculate that the radiation corresponded to a temperature of just three degrees above absolute zero (3 K). 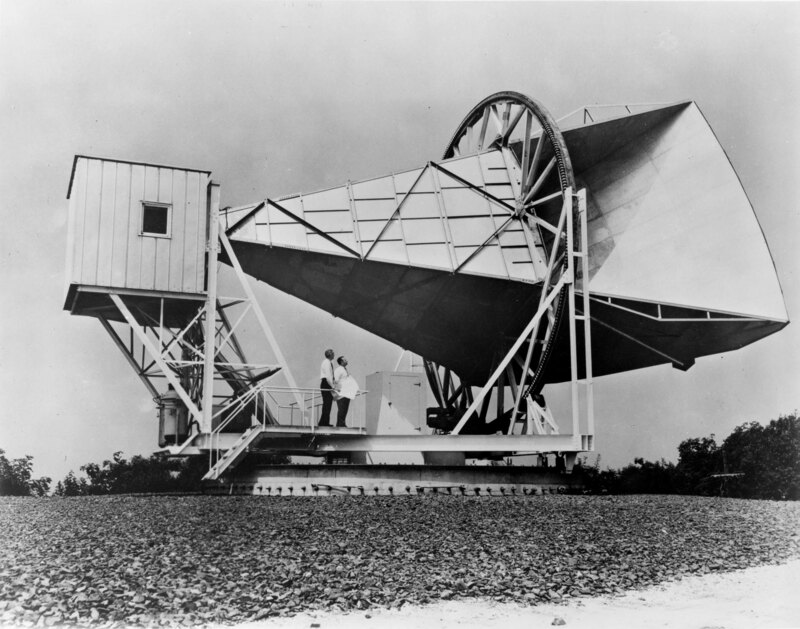 At the same time that these two astronomers were shooting pigeons, a physicist named Robert Dicke was trying to design an experiment to test the theory that the big bang, if it really happened, should have left residual, low level radiation throughout the universe. Before he could design his experiment, however, he was contacted by Penzias, who explained the problem they were having with their antenna. Based on the data they were able to share with him, Dicke immediately recognized that the microwave noise discovered by Penzias and Wilson was the low level radiation that was predicted as a remnant of the big bang. Part of the confirmation included the fact that the radiation came from every part of the universe and that it corresponded to a glowing body of three degrees Kelvin, just as the theory predicted. And so goes the story of the discovery of the Cosmic Microwave Background. This is the radiation given off during the earliest stages of the big bang (when the universe was less than 400,000 years old). It’s amazing that one team of scientists found radiation as they looked into the sky, radiation coming from everywhere, and their observation matches just what is predicted by the process of the big bang, as developed by another team of scientists at about the same time. For some scientists this is the most important discovery of the 20th century. In fact, as a result of this discovery, Penzias and Wilson were awarded the 1978 Nobel prize for physics. But for many scientists, the importance of their discovery goes beyond its support of the big bang theory. For them, this discovery marks the point in time when the science of cosmology moved from the realm of speculation to observation. Some people will quarrel with how this story gets told. They point out that the original predictions were that the temperature of the radiation would be 5 K, not 3 K, and that scientists had to fudge the results to make it fit. That’s partly true and no matter how well the data fits the curve there are some estimations of initial conditions and speculation as to whether or not everything is factored in that could potentially influence the results. And it’s true that I’m not a scientist and I don’t understand all of this. However, it is also true that the predictions (based on very reasonable estimations of initial conditions, etc.) fit the observed data with alarming accuracy and we need to consider what this might mean. In essence, in the sky we see a chain of cause and effect that stretches through the vast expanse of time all the way back to the beginning of creation itself. Consider, for example, that there is more than just this one prediction with its corresponding set of observed data. Consider Einstein’s equations and the number of ways that these predictions have been proven accurate when we measure how time slows down at high speeds, how space bends around a massive object or how gravitational waves form and travel through space. Consider how physicists predict the existence of elementary particles and then perform experiments and discover, sure enough, those particles exist. And consider that some of these exotic equations that describe the more esoteric parts of our universe are actually used in every day life–like for keeping accurate time on our cell phones or finding our location accurately using satellites. And all of these things are not independent but they’re really based on quantum mechanics or the general theory of relativity–two systems of equations that describe creation with uncanny accuracy. The point is that the same system of science, even the same equations that have made all these discoveries possible, are indicating that the universe is 13.8 billion years old. Yes, it’s true, it’s not quite the same. There is still room for error. And yes, we know that quantum mechanics and the general theory of relativity as we currently understand them are incompatible so there’s a lot we don’t know. 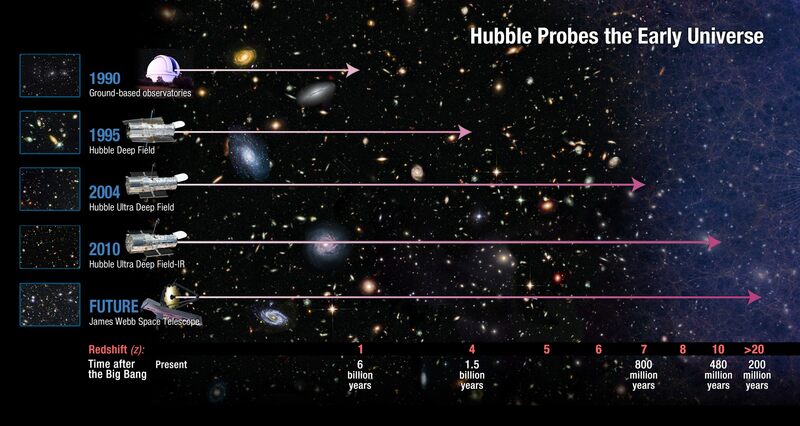 But the evidence for an old universe is coming from many different avenues of discovery and the evidence is piling up. So much so that what is at stake is wisdom itself. What is at stake is wisdom itself. Every night, as we observe the stars in the sky, we look at far away objects. And they are not just far away in space, but far away in time–apparently further than 6,000 years. If God made this creation according to his wisdom and if he gives us wisdom to observe and discover order in his creation, then the stars in the sky should give us pause. Are we reading Scripture right? Maybe it’s time, like it was during the time of Copernicus (before Galileo!) to rethink our habits of reading Scripture. Maybe a closer look will show us that we have made Scripture teach something it does not actually teach. St. Augustine once warned us of this. In his final attempt at writing a commentary on the literal meaning of Genesis, there were cases when he found more than one possible meaning in a text and he would give each of the options without choosing one as the best. 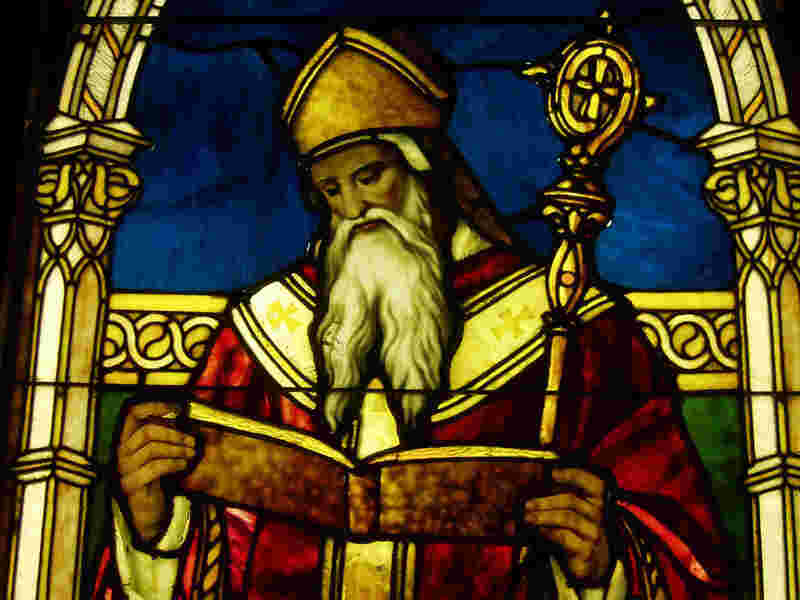 In those cases Augustine would not just arbitrarily choose one reading over another but he showed his humility in affirming only what Scripture surely taught. Here’s what he says in Book VII of his The Literal Meaning of Genesis. In what follows, I want to challenge us to be as careful as St. Augustine. Let’s pay attention to what the text in Genesis 1 is teaching and let the text speak for itself without bringing in our own expectations or presumptions. Let’s read carefully and see what the author is trying to tell us. Odysseus faces the Scylla and Charybdis by Henry Fuseli. Public domain. An excellent set-up for what’s coming. I eagerly look forward to #5. Ironically, perhaps, my brother who is an atheist has suggested that we all (all four brothers) go to KY to see the full-sized Noah’s Ark tomorrow. Along will come my other brother (MIT physics and comp sic). Should be an interesting excursion. Science and faith, hopefully not Science versus Faith. This blog by Todd is very disappointing, especially because I have tried to show him from science long age beliefs are not required from science. I have given him DVDs and books and offered more. Especially an important series on Creation Astronomy by an engineer who worked for an arm of NASA. It was offered to him from Ken. (see CreationAstromony.com) But Todd has no time while he is here in the States and we respect that. He said he did not have the time to watch some of them or even read my summary documents that I have sent to him. What is disappointing is that he has the time to write a blog that basically contains pop-science and the simplistic explanations for long ages offered by an atheistic community that are out to destroy Christianity – not help it in any way. Todd repeats what secularists say: “As we look up at the stars, we look not only across the vast expanse of space, but the vast expanse of time.” This is based on one major assumption: that the speed of light and time are constant across all of deep space. I Thessalonians 5:21 says, “But examine everything carefully; hold fast to that which is good”. We should do a better job of “examining carefully” before we believe what secularist scientists tell us. Big Bang theory and its variations are developed and pushed by atheists. They have an agenda to destroy belief in the Bible. To answer them in the marketplace we should not try to accommodate their beliefs by telling them “its’ okay – your beliefs about the age of the earth can fit into the Bible”; simply because its is NOT the truth but also they are not going to accept the Bible as truth anyway – but rather continue to mock the whole Bible – including the virgin birth and resurrection. It is not helpful when theologians, despite their sincerity, to spout back what the atheistic scientists say – especially if those same theologians will not take the time to acquaint themselves with the real facts of science. There are 1000’s of born again, Bible believing PhD scientists who know the scarcity of evidence for Long Age cosmology – who go toe to toe against the atheistic scientists and can win the debate on this and Darwinism with science alone. But what is really frustrating is that too many theologians accept “what Science says” (as if it was an all knowing monolith of hard facts) and do not spend time with the very good materials of PhDs in science who are also their brothers and sisters in Christ. These Christians with PhDs in Physics, Astronomy etc. can provide better answers to what the “world” believes and promotes. Why are so many theologians ignoring them? Let me provide a few pertinent points here. Discovery of the Cosmic Microwave Background does fit Big bang theory – but it does not prove it. It can also fit the creation model. There are at least a dozen problems with big bang beliefs and of long ages that the CMB does not address… I will try to mention a few here. 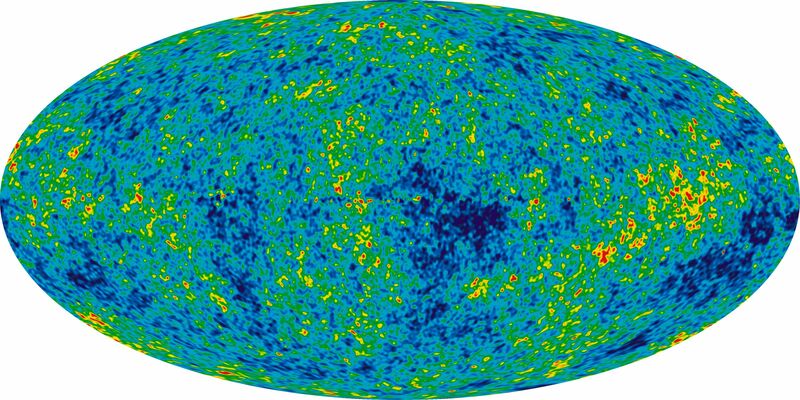 The CMB map that Todd has used is actually one of the problems with Big Bang cosmology. The CMB is too uniform and has only minor variations in heat. If the Universe was created with a big bang and 13.7 billion years old it should not – could not- be that uniform. But it is. This is called the Horizon Problem. This has to do with the puzzle that extremely distant regions of space are remarkably similar. What physicists don’t understand is how this small a temperature variation could happen if there could be no possible exchange of light/ radiation across extreme distances even in 13.7 billion years. (due to the assumed cosmic speed limit of light- That light cannot go faster in space than what we measure it on earth). Their solution to this problem is called “inflation”. The “inflation” solution is just an idea invented by Alan Guth in 1981, without any evidence for inflation. It is a story to solve the problem. It requires an unknown type of physics and also that the speed of light was MUCH faster in that instant. But because it solves the problem rather ‘nicely’ it has come to be accepted, without any proof at all. Too many cosmologists and believers in Big Bang theory just accept inflation as a fact because that is what they have been taught. But it is based only on faith. Did you know that? Dr. Alexander Unzicker is a German theoretical physicist and science writer. He publicly criticizes theories that are not testable like string theory or cosmic inflation because they are too complicated to be credible. He said that Physics should give explanations, not excuses. “Today many people are postulating new particles and fields just for everything they don’t understand.” As an example he cites “… the theory of cosmic inflation, which says that the universe has expanded by a huge factor in its very first moments. But what is exceptional about it, is such banality about the publicity it got – there’s just no evidence for it, whatsoever. “ Rather recently (March 17, 2014) a team of radio astronomers announced what they thought was finally direct evidence for cosmic inflation. Yet 2 months later most secular scientists expressed doubt about the claim and by June 2, 2014 separate studies discredited it. If their claim was true, then the same evidence plugged into equations show that the universe would have collapsed in on itself shortly after Big Bang! There never was and still is no evidence for “inflation”. Then there is the problem of near by and far distant galaxies looking the ‘same’. If the speed of light was constant in deep space (and this is the key assumption made by believers in an old universe) then the near and distant galaxies should NOT look at all similar. The distant ones should not have a spiral form yet, and also be made of what is called population 3 stars (the first stars with only Hydrogen, Helium and a little Lithium – the 3 lightest elements) and their galaxies should not have a clear spiral shape. And close in Galaxies – if they are billions of years old, should have wound themselves up tightly since the inner portions spin much faster. They should look radically different, but they don’t. Both the distant and near in galaxies show similar shapes and similar signs of heavy elements. These are signs that these galaxies are the SAME age and are created. There is more, but it boils down to the fact that there is something radically wrong with the assumption that the speed of light is constant in Deep space – the same as on earth. We know gravity affects the speed of light and the speed of time. The simplest answer is that light does go much much faster in deep space, away from the gravitational effect of the sun and other stars. We have measured the speed of light in a vacuum but that is a far cry from going out beyond the orbit of Pluto and measuring it there. We already know that gravity affects time. Perhaps the two are related: time and the speed of light could be opposite sides of the very same coin, which would really bring us to something along the lines of Dr. Humphreys’ work (an award winning physicist). Dr. Humphreys’ model of the universe – white hole cosmology has been developed over the years, answering questions and critiques of physicists from all viewpoints. He uses Einstein’s theory of relatively rather neatly in his model. But like any difficult scientific inquiry there are competing theories that answer the same question on the speed of light. Dr. John G. Hartnett (an Australian Cosmologist- see his book Dismantling the big bang. ( https://www.amazon.com/Dismantling-Big-Bang-Alex-Williams/dp/0890514372) and astro-physicist Dr Jason Lisle (Director of Physical sciences for ICR) are 2 physicists that I know of who also have competing theories to answer this question on how light does go far faster in deep space. This is the best explanation for the details of what we actually SEE in space. Again – we do know that there is something wrong with the base assumption, that light travel to earth from distant galaxies travels at the same speed as it does on earth. Therefore the calculations that result in deep time dates for the universe are also wrong… Near and distant spiral galaxies should not look the same – and yet they do. And then there is the whole issue of Star Formation itself. Secular theories do not work. There are no star nurseries – only an assumption of how swirling gases form into stars. (see creationwiki.org/Star_formation) We have never seen a star being born – only stars that die – many of which are so hot that they should die in 1000’s of years not millions. There is also the low number of Super Nova Remnants. The number of SNRs that have been well catalogued over the last 100 years is far too LOW. It fits a model of a universe that is thousands of years old – not billions. There is so much more and I already have pushed the limit of a blog reply. Go to CreationAstromony.com and get Spike Psarris’s DVDs. About 5 hours of evidence that clearly shows our solar system (planet by planet); galaxies and the universe itself cannot be billions of years old. Yes, this is anathema to secular scientists but there are plenty of scientists who are Bible believers and have the knowledge to point this out. Contact me: Helmut Welke [email protected] if you have questions or want more info. First off thanks for the comment and thanks for all the trips you made from the Quad Cities up to the northern suburbs to help me understand the creation science viewpoint better. I’m sorry I didn’t have enough time to give as much attention to the science part of it as you would have liked. I’m trying to be faithful to what I believe my main responsibility it—that is to the interpretation of Scripture. As I have tried to make clear all along in these posts, I am concerned that we are making Scripture say what it does not say. Science does not drive my interpretation but right now in our culture we have a very science oriented context and this series is putting the topic in that context. I have intentionally created some tension between science and Scripture in order to set up what’s coming. Even if the current scientific consensus is correct (old universe, evolution, etc.) there is still no problem with Scripture when Scripture is read properly—that’s the argument I’m developing. For me, reading Scripture well is far more important than getting the science right. Also more important than getting the science right is approaching science and Scripture with humility. This is where I want to challenge you, Helmut. When we met together you were very kind and we had some great conversations. I felt like we connected like brothers in Christ. I’m grateful for that. While it’s true that I didn’t read everything you gave me, I did read some things and I met with you on every occasion that you suggested even though I wasn’t sure it was the wisest use of my time. There are some things I’d like to point out to you with regard to what you’ve written above. Some things that I consider quite serious. First, I don’t think you’re trying to understand what I’m writing in these posts. I get the sense that you have a preconceived notion of what I’m writing and you’re not giving me an opportunity to develop my argument–which you actually have further insight into (than other readers) because of having met with me. You don’t have to agree with me, but you should interact with this discussion based on the merits of the argument I’m making. Second, you accuse me of presenting science as a monolith. It is an uncharitable reading of these posts to say I present science as a monolith. I do use phrases such as “scientists say” or “science says” but there is such a thing as a scientific consensus, it’s part of the way science is done. It doesn’t mean there aren’t problems with the theories, it doesn’t mean there aren’t those who disagree. Along with “science says” I also use phrases like “if science is right” or “indicate,” “there is still room for error,” etc. Also, it simply misunderstands the whole point of the post (first point). I don’t think any fair reading of this post can accuse me of treating science as a monolith. But, look again, you say I’ve swallowed a view of the cosmos that is put forth by “an atheistic community out to destroy Christ.” Rice University recently published results of a survey of scientists in the UK and discovered that most scientists feel Richard Dawkins misrepresents science basically because he’s out to destroy religion and they don’t think science goes there. That study would suggest your statement is unfair. There’s more. Your accusation that I am just repeating the science of those out to destroy Christ doesn’t work if it were possible for me to use arguments presented by scientists with a genuine interest in understanding the universe and no interest in proving or disproving someone’s view of religion. Do you really want to say that all scientists who hold these views are atheists out to destroy Christ? I hope not. But your statement doesn’t work unless that’s true. So you are not only being unfair in essentially saying I have naively accepted a hostile view but you have truly treated science as a monolith. Third, and this is really an extension of the second, the logic of your argument is that we theologians have not spent time with brothers and sisters in Christ who support creation science because if we did then we would clearly see that their science is right and everybody else is wrong. Well, what about the brothers and sisters who are not young earth creationists who are paleontologists, biologists, physicists, etc.? This third point is different than the second because rather than me ignoring creation scientists (didn’t I meet with you, take your materials, read some articles, etc.?) you seem to be ignoring brothers and sisters who through their research are convinced of an old earth. You gave me an article on radiometric dating. Why should I, a person not versed in the finer points of radiometric dating, accept your argument over the argument of Roger Wiens and his article (Radiometric Dating: A Christian Perspective)? He’s an expert in the field and a brother in Christ and I find his argument more persuasive. You mentioned the Paluxy tracks as evidence for humans and dinosaurs being alive at the same time. Why should I accept that as valid evidence when even Answers in Genesis says creationists should not use this argument? You mentioned soft tissue in fossils, something that cannot be explained by our current understanding of decomposition. Why should I accept that view over Mary Schweitzer, an evangelical believer, microbiologist and paleontologist who discovered the soft tissue and who has presented an explanation for this (iron released from the blood acts as a preservative)? It is not that I have not examined the evidence, it is that I don’t find creation science convincing based on what I’ve looked into. I’m not a scientist. I may be misinformed or I may be evaluating the evidence wrongly. But I’m in good company and I am epistemologically justified and responsible in holding my position. I’m not going to disparage creation scientists who disagree. I think that’s wrong. Let them do the science and let them present arguments that give a full account for a 6,000 year old universe. I’m open to that. Are you open to the idea that Scripture can be read in some other way than your reading? Let me develop an argument for an alternative reading. Is everybody who disagrees with your reading being hoodwinked by science that is out to destroy Christ? That is simply an irresponsible position that helps explain why creation scientists are often put in the same camp as the likes of Richard Dawkins. I was somewhat concerned that you would read part of my note the wrong way and take some unnecessary offense from my “Twinkle, Twinkle” response. So I was planning on writing you via private E-mail, after Christmas, when I have more time to better explain my thoughts. I am traveling and spending time with family in the Washington DC area right now, and in a day I will be in Charlotte with more family and grandchildren. But you then you posted your remarks with a lot of challenging statements, and you sound rather indignant too, – at least that is how it reads to me. So I will write my main response to you now, but put only a portion on your blog and send you a private note later. I do value our friendship and I do consider you a solid brother in Christ. You have told me that your project does not preclude a ‘young earth’ but it grieves me that everything you write seems to indicate that you support billions of years, including the acceptance that distant starlight automatically means billions of years. I tried to point out some of the problems with the basic assumption that light travels in deep space at the same speed in space as it does on earth. We are BOTH concerned about the same thing. You wrote: “I am concerned that we are making Scripture say what it does not say.” THAT is also what I am concerned about – very much so. But I do think we agree that we are coming at this from opposing views. You are looking for a better interpretation of Scripture and I am looking for more details in scientific facts and how they are interpreted. When we are not speaking face to face it is all too easy to mis-interpret the tone and nuances of what the other is saying via email, or online posts. If you took personal offense in what I wrote, I apologize. But I do want you to take what I say about the state of science in western culture seriously and with some credence and thought. I know very well about Wiens and Hugh Ross and other Christians who accept Billions of years. By no means am I ignoring them. While these individuals may mean well, and it does not impact their personal faith, it does impact a lot people, including young people today. You said we are in an age of ‘science’ – and I am often on secular University campuses dealing with agnostic and atheistic students as well as those with honest questions. I know all too well the culture of science today. And if I could, I would like to have the same discussions on science with them (Wiens, Ross, et all) as well. You wrote: “… I don’t find creation science convincing based on what I’ve looked into. I’m not a scientist. I may be misinformed or I may be evaluating the evidence wrongly. But I’m in good company…” Its fair enough to admit you may be misinformed. My opinion is that you are very under-informed and perhaps influenced by the low opinion many others (Christian and non-Christian alike) have for young earth creationists. But then Jesus was held in low opinion by most religious and secular leaders of His day. (yes, I know that does not make me right, – you already knew that – wink – wink – go ahead and chuckle.) But since when does a ‘consensus’ of people (including very human scientists) prove anything when it cannot be directly tested? I am sure you also can provide plenty of examples of erroneous beliefs held by the majority of ‘experts’ that later turned out to be flat wrong. But then you also bring up some scientific points and if you want to challenge me on scientific grounds – I heartily welcome your challenge and the discussion. I am glad you said that you are open to that. You bring up some good science questions and comments pushing back on the very few items we have had time to discuss. But now that you have – you owe it to yourself and your readers to dig deeper. The details of science are there – and in every branch of science they fit and confirm a straight forward reading of Scripture. Radiometric dating: My radiometric paper was a summary of the RATE study, a million dollar study performed by 2 dozen PhD’s -experts in this field, as well as other studies and not my opinion. Dr. Wiens paper is old stuff that has been answered years ago. It was first published in 1994 and revised in 2002. He does a good job of explaining the techniques used and the theory, but glosses over the assumptions and inconsistencies even in his own paper. Have you read the whole paper? Unfortunately, the paper does not address the Creationist RATE study published in 2005. If you want to read that in detail, I can provide it to you, but that reference is listed at the end of my radiometric summary paper. Nor does Wiens even mention the gross inconsistencies between C-14 dating on wood, coal, and diamonds versus the dates determined by other methods on the surrounding igneous rock. Remember, long age radiometric dating methods cannot and are not used on sedimentary rock, where the fossils are found. Dr. Walker has gone through Roger Wiens paper in detail, answering each claim point by point. The facts he presents are simple and obvious, but not generally known. He illustrates how the idea of millions of years is not based on scientific measurements but on subjective philosophical interpretations. Here is his response to Wiens’s paper ‘Radiometric Dating: A Christian Perspective’ here. It’s available as a pdf. DINO Soft Tissue – I am not asking you to accept me over Mary Shweitzer. I am asking you to accept modern biochemistry over the simple explanation of a Paleontologist. The iron as preservative story has taken on a life of its own, but it is patently impossible. Studies actually show that the whole idea of iron generating free radicals as a preservative is firmly debunked. Two Ph.D. chemists have demonstrated that the radicals, and the water they are transported in, actually destroy the chemicals of life, not preserve them. Dino DNA recoverable – This is a thick layer of icing on the cake. About the same time that Mary Schweitzer announced her finding of intact bits of DNA in T-Rex bone marrow, another study showed that the life of DNA was about 100,000 years. There is no way these bones are millions of years old. None. That is hard science, not opinion, despite the denials of long age believers. Finally I found your last comment somewhat insulting. But as a friend I take it the way you want me to and not what it sounded like as I read it. Reading blogs the wrong way or over-reacting can go both ways – but more on that when I can write you privately. A good “start” at response. And the “start” is the key. What is the starting point? Is God’s Word the Truth and starting point? Or is the view of scientists the starting point. Science tells us nothing; scientists do. The starting point of secular scientists is naturalism. To date naturalism has no explanation for the origin of language. Logic leads to a Creator who introduced communication i.e. language to Adam. If we truly believe in inerrancy and inspiration of all of scripture, then it would seem logical that the words the Creator chose to describe His creative acts through Moses would be clear and understandable as plan language. Has the truth of Genesis become one of the “mysteries” of scripture obscured for thousands of years, that is only now being revealed by the study of well intentioned language experts? I think not! I cannot by any means claim to be a language expert, other than that lives depend on my ability to communicate complex ideas to people who have different educational, cultural, linguistic, gender, intellectual, and economic backgrounds. (I’m a physician). But I am amazed at times by how a given instruction or phrase can be read differently by different patients. I try to write in “plain language.” I even have the advantage my “readers” being from the same era of history in which I write. It does not seem too far fetched to imagine that, while God’s Word was written in plain language – as understood in the given cultural-linguistic style in which it was introduced – we might not understand that plain language anymore. We don’t live then. We are removed by 2-3000 years, at least 2 languages, Eastern vs Western culture (an over simplification of the many cultures that have gone between then and us), and understandings of literary genres. I have misinterpreted contemporary texts because I didn’t understand how to read a particular genre. How much more could I misinterpret something that far off. I am not comfortable with the idea that I can’t easily understand some of Scripture. Even more discomfort with the idea that I don’t even know what parts of Scripture I don’t actually understand well. I want to just read it to see what it says. But it’s not that easy. I have a lot of work to do. Biblical inerrancy and infallibility result directly from God’s own truthfulness. What Scripture says is true because God said it. It is not as is so often said, “God said; I believe it; that settles it.” Rather it should be, “God said it; that settles it. That statement is irresponsible, naive, and scary. The first statement “God said it, I believe it…” already underestimates the role of interpretation in the process of understanding and applying God’s word. The second statement completely eliminates the interpreter. It’s as if God’s revelation entered our minds directly without mediation. It’s as if to say that true followers of Christ receive proper revelation directly from the Holy Spirit. Your post here also reflects an overly simplistic understanding of the doctrine of the clarity of Scripture–even as handed down to us through the reformers like Luther and Calvin or the Westminster Confession. Those believers emphasized that Scripture is clear even for the uneducated Jews (in Luther’s and Calvin’s words) but they also emphasized the fact that we need to be responsible in our reading. For Luther, the beginning of his understanding of salvation through faith alone came through his meditation over the kind of genetive expressed by “righteousness of God.” The Westminster Confession acknowledges that Scripture is clear but not uniformly so. There are some parts that are difficult to understand and in every case we must apply the “proper means.” “Proper means” includes taking in to consideration genre, literary structure, the author’s historical background, etc. In the posts that follow I’ll be suggesting a reading of Gen 1 that takes these factors into consideration in a responsible way. I hope you’ll be open to other possibilities for reading Genesis because I’m confident that my reading (which is similar to most OT scholars) is closer to the correct reading that a literalistic, 24-hour day reading. Just a few questions (perhaps rhetorical) came to my mind after viewing the blog and before reading all the comments. 1. How could Christians before the 21sr Century NOT misinterpret the early chapters of Genesis? 2. Since God, the co-author of Scripture, invented language (e.g. Adam & Eve plus the Tower of Babel), why should these chapters be ambiguous? 3. Assuming that the plain meaning (in English) of these chapters is God’s intent, what could He have done to be more clear? 4. What obvious, (i.e. not hidden, esoteric) indicators in the text demonstrate that the plain meaning is not the true meaning? 5. What happened to the doctrine of the perspicuity of Scripture? Hi Walt, Thanks for the good questions. Here are some quick answers to your questions, though I’ll go in to more detail in later posts because I think perspicuity (clarity) is one of the more important, and most overlooked aspects of this debate. 1. The main point of the text, that creation was meant to be a good place of provision and protection is obvious at the surface of the text. I can’t think of any interpreter ever that has ever missed that point. As to the length of days, on the other hand, there has never been agreement on that issue. 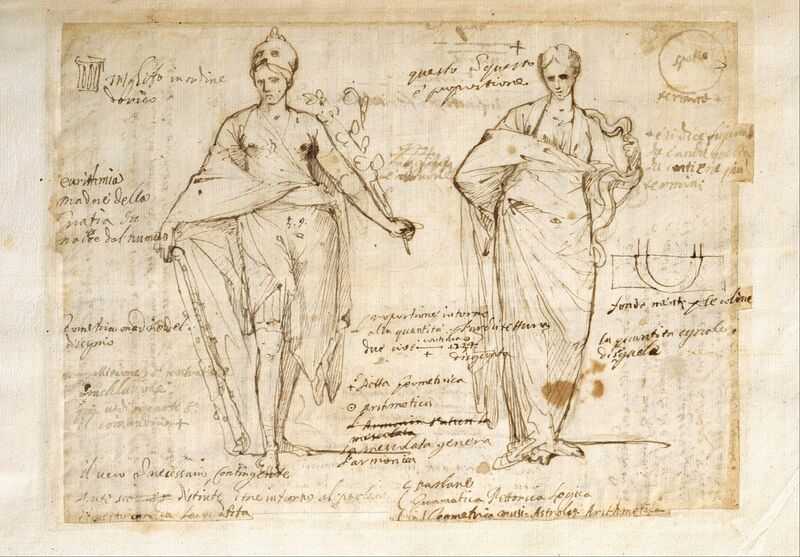 2.-4. These texts were written in Hebrew. Do you read Hebrew? Does the doctrine of perspicuity mean anyone can pick up a Hebrew text and its meaning will be plain? Of course not. But there is more to language than just vocabulary and grammar, there is the whole cognitive background that goes with it including genre, literary conventions, etc. What was plain to the original readers is not necessarily plain to us. 5. Again, perspicuity gets its own post later in this series. I am closer to Helmuts reasoning on that subject . -1 Adam and Eve , regardless what age of the Universe we believe , must have been created fully developed and thinking people , and must have been the only humans around – so that they could be the direct ancestors of ALL humans living today , to have caused the degradation , suffering and death of all of us . 2, Fully developed , they must have been , as we couldn’t be held liable for the Fall of some animal ancestors of ours . -3From scriptural genealogies there is not much room for inserting any vast periods of time in our lineage from them to today , so I guess we can all easily assign the 6 milenia dating mark on them . We can safely say , there were no people before them , or paralel to them , otherwise we would have some descendants today who wouldn’t be affected by the original sin of Adam and Eve , and we clearly don’t. From the narrative style , the writer is using the same description of days from day one to the day seven . So If we can safely place the day six to the approximate over 6000 years ago , then there is not much reason why would the days seven , five , four etc . be bilions of years away from each other. I see the Fall of man in the garden of Eden as a most defining moment of history , therefore needs to be exactly placed in time and space . What is your idea on placing the Fall of man in your way of reading the Genesis ? It’s been a long, long time since I’ve seen you. That last time a saw a communication from you it was written in Šariš, I think :-). As for your questions, at root it all comes down to one thing. As modern readers we look at this text and we see day one, second day, etc. For us this means chronology, basta! But a Hebrew would look at this text differently. A Hebrew would see that every day begins and ends the same way and would see symmetry right there on the surface and look deeper to see if it goes further into the text. Then he would begin to see the repetition of key words seven times or multiples of seven, the repetition of key sentences each of the six days of creation. A Hebrew is not necessarily going to see chronology. Have you read the post on the structural symmetry of the six days of creation? Really, just that one idea, that a Hebrew is approaching this text differently than we are defuses all of your questions. And it doesn’t have to do with reading the text “figuratively” so that all of a sudden we can read it however we want. Just the opposite, the text has very clear markers indicating just how we are to read and what Moses wants us to understand. He also makes it clear what is not of primary importance or what he is not discussing at all. Concerning questions 1 and 2): Yes Adam and Eve were created fully human. I don’t think that eliminates the possibility of evolution. That author of that link is arguing against a figurative Adam and points out just one possibility for how that could be possible. He is not saying that is exactly what happened. 3) Genealogies in Scripture don’t work they way we read genealogies just like historiography doesn’t either. Just take the genealogy of Jesus in Matt 1 where Matthew summarizes, 14 generations from Abraham to David, 14 from David to the exile and 14 from the exile to Jesus. When you look at the genealogies in Chronicles you find out he omitted two kings so there aren’t really 14 generations from David to exile. The idea is not that Matthew is counting generations–what point is there in that? The idea is more likely that 7+7, 7+7, 7+7 and now Jesus is the seventh seven, he’s leading us back to the year of rest, the seventh day of creation, Jesus is the new Moses that will release us from the slavery of sin and set up a new kingdom. That fits with the rest of Matthew’s gospel. When we look at genealogies from the ancient Near East, this fits with they way they work as well. Again, it has to do with our expectations from a genealogy being different than the expectations of the author or the original reader. Same thing with narrative style. Biblical narrative is not straight forward woodenly literal. Not even Kings and Chronicles. That’s a long discussion. So no, neither because of genealogies, nor because of narrative we just plain cannot safely put day six at 6000 years ago. The Bible does not clearly state that animals were vegetarians. The Fall of man in the garden of Eden is indeed the defining moment in history and the defining moment in the biblical account of salvation, which is a historical account. The Bible is a work of historiography from Gen 1 to Rev 22 but it is not a work of modern history. It’s a different genre and requires we read it with that kind of openness. I know that raises all kinds of questions but that’s why I’m writing this series. I wish I had more time right now to work on the next posts but I’ll get to them as soon as I can.